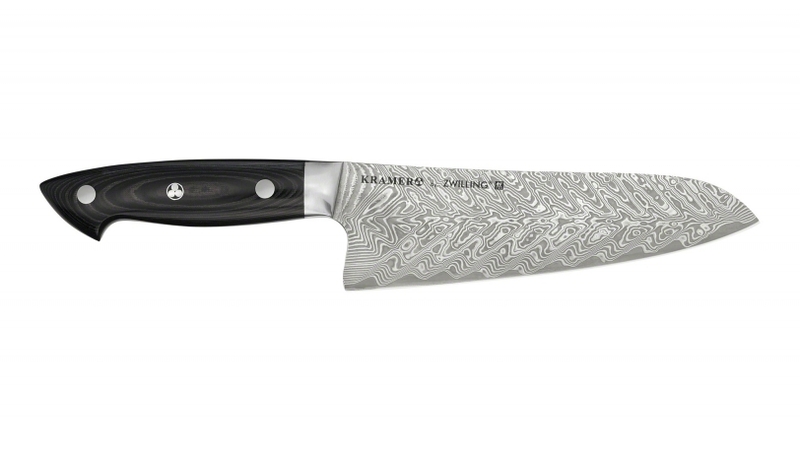 Bob Kramer EUROLINE Stainless Damascus by ZWILLING J.A Henckels 7-inch Santoku Knife - Asian chef's knife with broad blade and especially sharp cutting edge. The all-rounder of the Asian kitchen can be used threefold: for preparing meat, fish and also vegetables. Best used in chopping motion. One of the world’s oldest brands, ZWILLING J.A. HENCKELS has been synonymous with high-quality products since 1731. ZWILLING J.A. HENCKELS is the gold standard for premium cutlery, cookware, and kitchen tools around the world. The global company has traditionally used innovative technology to manufacture products of the highest quality and most appealing design. To achieve this, ZWILLING J.A. HENCKELS works together with renowned designers who share the brand’s values and visions. Then and now, ZWILLING J.A. HENCKELS is committed to the principle: our customers´ satisfaction is our success.